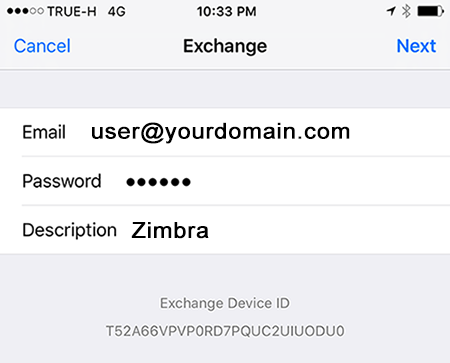 Zimbra Mobile Installation and Setup for iOS ( iPhone, iPad) - Exchange Active Sync (เมนูภาษาอังกฤษ) - ศูนย์ข้อมูลช่วยเหลือ - ServerToday (Thailand) Co., Ltd.
3. 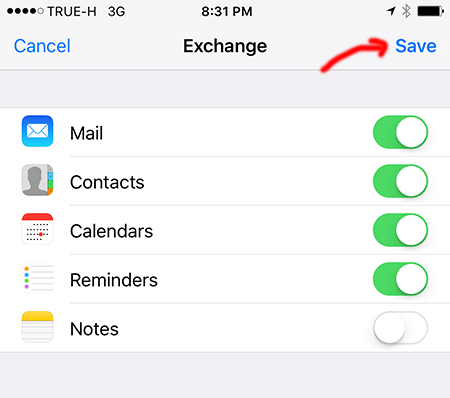 Enter your account information and tap next. 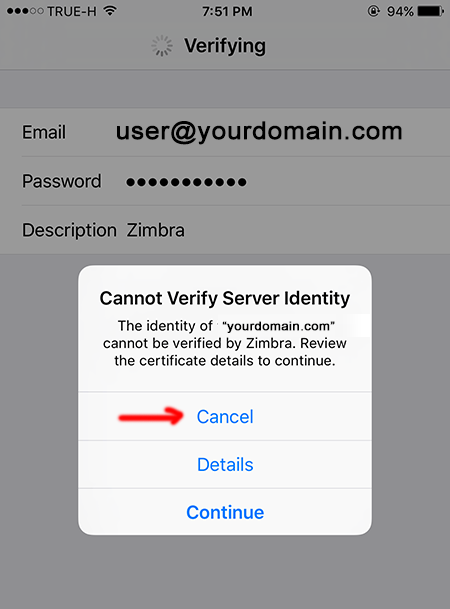 4. iOS try to connect to yourdomain.com server and Alert "Cannot Verify Server Identify" --> Choose "Cancel"
5. 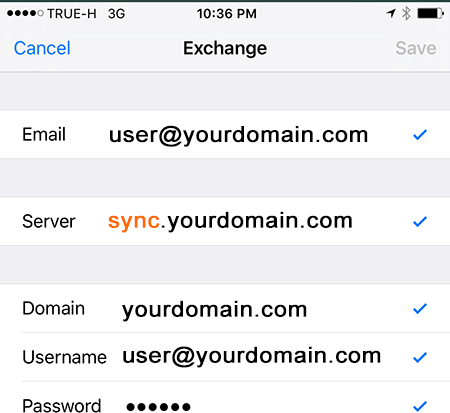 Enter your account information, server "sync.yourdomain.com" again and tap next. 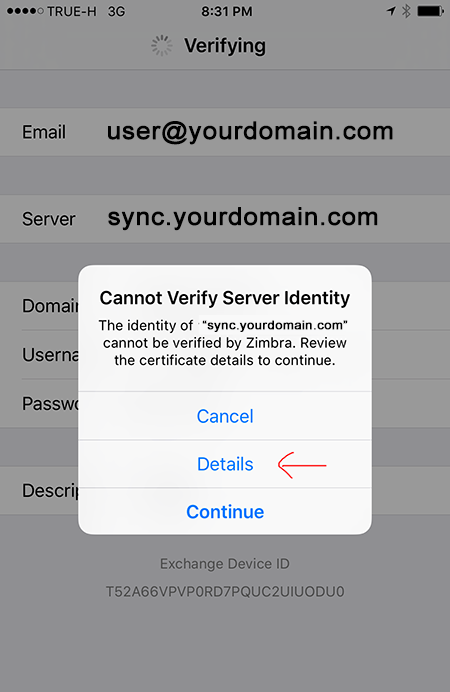 6. iOS try to connect to sync.yourdomain.com server and Alert "Cannot Verify Server Identify" --> Choose "Details"
8. 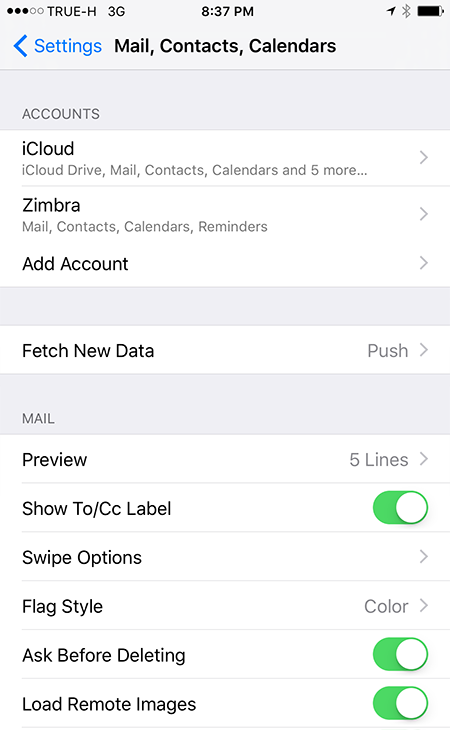 Select to synchronize Mail, Contacts, Calendars and/or Remider (Task) by setting the sliders to On. 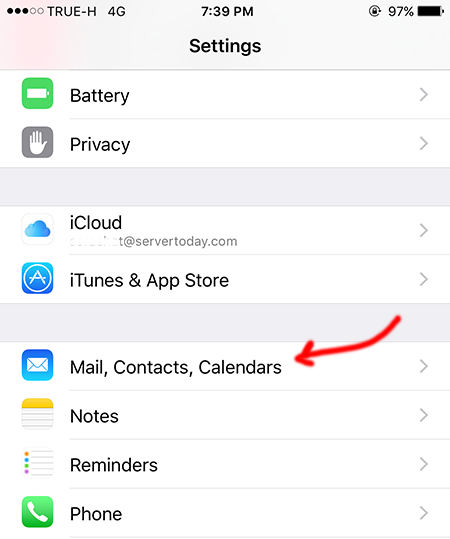 • If you already have Contacts, a screen displays asking if you want to keep your current contacts on your iPhone. 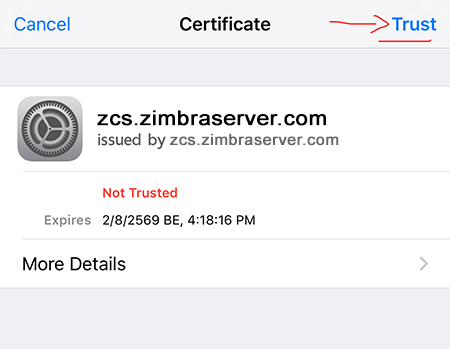 • If you select to " Keep on My iPhone ", you may see duplicate entries of your contacts. 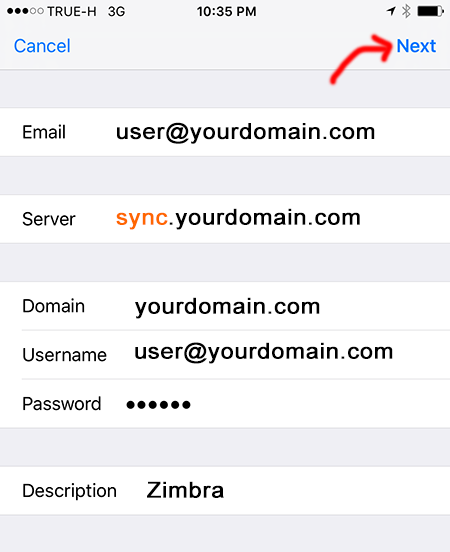 Click "Save" Your Zimbra Mobile account is now set up and synchronizes. 9. 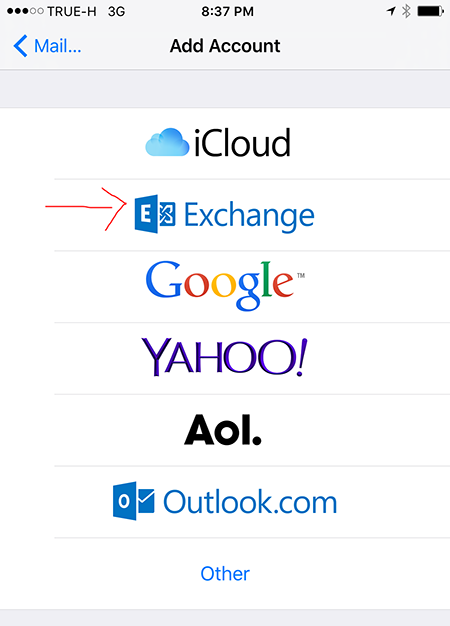 You can now edit your global or account-specific settings as described in the next section, Changing Your Account Settings.